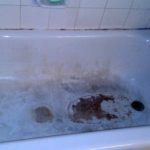 Bathtub Resurfacing | The Resurfacing Doctor, Inc. The Resurfacing Doctor is the leader in bathtub resurfacing services throughout Palm Beach, Broward and Dade county. We are proud to offer our customers with highly efficient and cost effective bathtub resurfacing. Many clients think they need to remodel the entire bathroom to get that brand new finished look. Many bathrooms simply just need a new finish, for a brighter and cleaner look. You don’t need to invest in a major remodel to give your bathroom a fresh, new look. 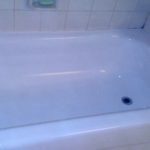 With bathtub resurfacing from The Resurfacing Doctor, you can transform your tub to rejuvenate your boring and outdated bathroom! Updating your bathroom doesn’t have to cost a fortune. For less money and less of a mess, you can breathe new life into an old bathroom by refinishing your bathtub. At The Resurfacing Doctor, we make it quick and easy to get the bathroom look you want. 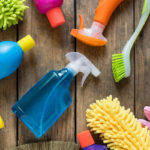 Customer satisfaction is important to us and we go out of our way to deliver professional, courteous, and attentive bathtub resurfacing services. We simply will not have it any other way! 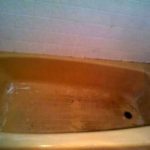 Your old bathtub most likely has already been resurfaced or refinished once or twice before. We will start by removing the surface of the existing coating and sanding it down to the original surface. We then remove the old caulking if needed as old caulking is normally unsightly and interferes with the application of the coatings. We will apply an Acid Etch solution to the tub using a coarse applicator. This ensures that our coatings properly bond with the surface of the bathtub. This creates ‘pores’ & small ‘grooves’ in the tub. With this method, the primer’s bond to the surface is solid for many years of adhesion. Using coarse sandpaper, we sand and scuff the surface to ensure maximum bonding of our coatings. We apply and industrial strength surface cleaner to remove any soap scum, grease, silicone residue and any hard water stains from your tub. We then apply another industrial strength bathtub resurfacing preparation cleaner that eliminates any type of molecules from past cleaners & leaves the surface with a true neutral pH level. 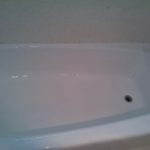 After the tub is properly cleaned, we then repair any damages such as holes or cracks with a filler that is as hard as porcelain. This is done for each and every one of our bathtub resurfacing clients. All areas around the tub are masked using painters tape and paper. The surface is then wiped down with a tack cloth so it is free of particles and dust. An industrial grade exhaust fan with tubing is then added to remove any air-borne particles straight outside. We then apply an acrylic-based primer with 2 coatings to the bathtub in order to promote maximum adhesion between the product & the surface. Lastly, we apply the topcoat consisting of Acrylic Urethane with 2 coatings to the bathtub. Acrylic Urethane coatings are the highest impact, UV, chemical and water resistance coating. This makes it the most superior & only material that should be used to re-glaze or resurface. Push and pull drain kits are also available for purchase. These kits include a new drain with new overflow cap. We can apply these kits over your existing drain with an epoxy. No need to call expensive plumbers. Why take a chance on pipes breaking? Ask to see the drain kits, and we can show you how not only to have a beautiful bathtub, but a beautiful drain too! 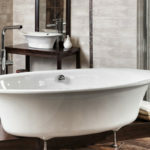 If your bathroom’s in need of a face lift, resurfacing your tub is a fast and practical alternative to a complete remodel or bathtub replacement. Re-invent your bathroom with bathtub resurfacing from The Resurfacing Doctor! Contact Us today!